Eligibility to do MBA in HR with 61% in B.A.? I am student in B.A.final.may subject is pol science,hindi,and phy education sports. My marks in 61parcentage .i want MBA HR course.plz answer. Eligibility to appear in NET after MBA in HR? 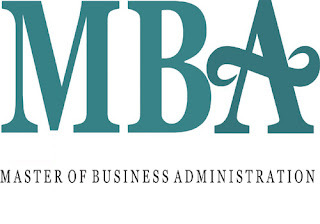 Eligibility for entrance exam for MBA? Re: Eligibility to do MBA in HR with 61% in B.A.? Regarding the education qualification for the exam the candidate must have completed a 3 years duration UG course from a recognized university with at least 50% and for candidates of SC/ST it is restricted to 45%. No worry dear aspirant definitely you can do the MBA course.MBA is a master degree course.The eligibility criteria for the MBA course is to have a bachelor degree course in any stream from a recognized university with minimum 50% marks in the aggregate. As you are telling that you are graduated in the BA as well as you have scored 61% marks in your BA aggregate so by this you are fulfilling all the eligibility criteria of the MBA course so definitely you can do the MBA course. HR- Human Resource is a specialization of the MBA course.MBA in HR Management involves the specialized training program in human resource management like planning strategies, recruitment, hiring of employees, and training of employees. Definitely you can go for the HR. if you are interested in HR then you must go for it.For getting the admission in top and reputed institute of MBA ,can appear in the entrance examinations. MBA is a very good post graduation course. As you said that you want to do MBA in HR field,it is a good choice. Friend do not tense about the eligibility for MBA, you are eligible to do MBA. MBA requires minimum at least 50% marks in graduation, in any stream you have already adequate marks. So, don't worry dear do you current studies with confidence and then be prepare for MBA. Well dear of course you are eligible for MBA (Master of Business Administration ) Course . I must appreciate that you have chosen such a good specialization . increments . If you have got good skill and can handle any tough situation , well you can go a long in this field . Eligibility for MBA (HR) :- Graduation degree in any discipline with having minimum 50% of marks . Admission Process :-Through Entrance exam which is followed by Group discussion & Personal Interview. Xavier Labour Research Institute (XLRI) , Jamshedpur. Tata Institute of Social Sciences (TISS)	, Mumbai. Symbiosis Institute of Business Management (SIBM)	, Pune. Symbiosis Centre for Management and Human Resource Development (SCMHRD) , Pune. Management Development Institute (MDI)	, Gurgaon . Institute of Management Technology (IMT) , Ghaziabad. Delhi School of Economics, University of Delhi	, New Delhi. University Business School (UBS), Punjab University , Punjab. Xavier Institute of Social Service (XISS) , Ranchi.